In a large saucepan, saute onion and garlic in oil until tender. Stir in the tomato sauce, tomato paste, water, wine, Italian seasoning, sugar and oregano. Bring to a boil. Reduce heat; simmer, uncovered, for 15-20 minutes, stirring occasionally. Meanwhile, for filling, in a large bowl, beat cream cheese until smooth. Stir in the cottage cheese, spinach, Parmesan cheese, eggs and salt. Stuff cream cheese mixture into uncooked manicotti shells. Spread 1 cup sauce into a 13x9-in. baking dish coated with cooking spay. 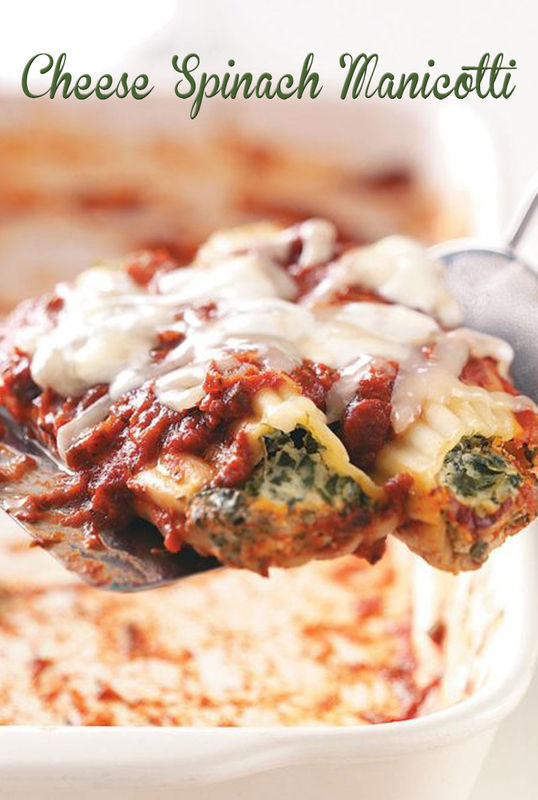 Arrange manicotti over sauce. Pour remaining sauce over top. Cover and bake at 350° for 50-55 minutes or until pasta is tender. Uncover; sprinkle with mozzarella cheese. Bake 5-10 minutes longer or until cheese is melted.